Farmington Gymnastics Academy strives to help children develop their maximum potential through competitive, recreation, physical fitness, and other productive leisure activities.The training of gymnastics helps strengthen other sports and also provides life-long benefits. Balance, coordination, flexibility, and strength are a benefit to any sport and general fitness. Our hope is that by participating in FGA activities, children build confidence and the skills needed to be successful in everything they do. One of our missions is to provide gymnastics, cheer, FGA Ninja, parkour/freerunning training to all children. Our experienced, knowledgeable and USAG certified staff has over 56 years combined experience in gymnastics instruction from recreational to the elite level. We offer a variety of classes from age 2 years to adult. Frankie Reddy is the proud owner of Farmington Gymnastics Academy. Frankie, along with her dedicated staff, is honored to introduce an exciting and safe gymnastics program to the Farmington area. 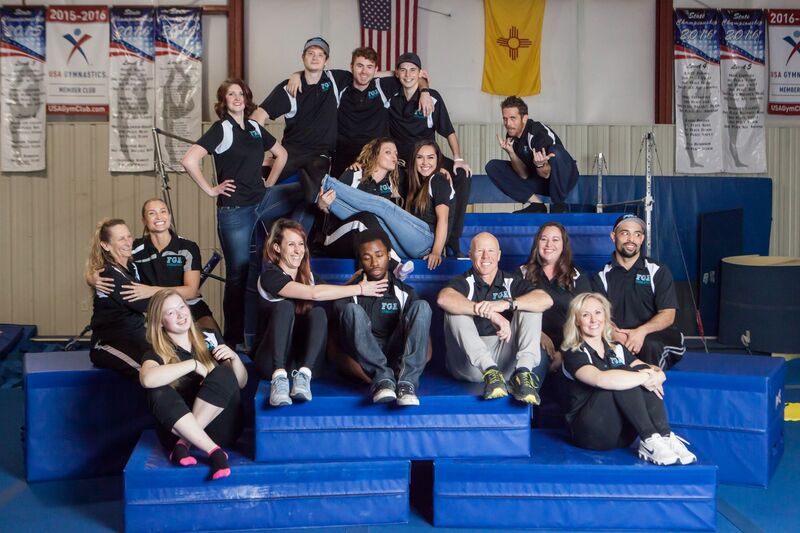 Each staff member is chosen by their experience and passion for gymnastics. Jared has been part of the Farmington Gymnastics Family since 2016. Mia has been part of the Farmington Gymnastics Academy family since 2016. Lynda has been part of the Farmington Gymnastics Academy family since 2013. Jenner has been part of the Farmington Gymnastics Academy family since 2016. She started taking gymnastics when se was 5 years old in the Farmington area. Ronnie has been part of the Farmington Gymnastics Academy since 2017. Taylor has been part of the Farmington Gymnastics Academy since 2013. Doug has been part of the Farmington Gymnastics Academy since 2014. Doug is a former high school state qualifying gymnast from Arizona. He continued his gymnastics career in college with the Arizona State University Men's Gymnastics Team and Northern Arizona University Gymnastics Club. Ariel has been a part of the FGA family since 2017. Ariel was a gymnast for three years and one of the first competitive gymnasts back in 2013 for FGA. She has always loved tumbling and learning new skills. Ariel danced for Farmington High School as a Kelly Green for three years as she continued her gymnastics with FGA. She enjoys flexibility and helping others become flexible. Ariel loves teaching kids and hopes to show them how passionate she is about gymnastics and learning new things. Mark has been part of the Farmington Gymnastics Academy family since 2015. Mark has been doing parkour and free running for 7 years. He believes its a great way to express ones self. He loves the energy and excitement it takes to create those movements. Parkour helps keep him in shape along with the motivation to exceed both mental and physical limits! Mark hopes to inspire the members he teaches to have the same passion he does for an active lifestyle. Katy has been part of the Farmington Gymnastics Academy family since 2010.